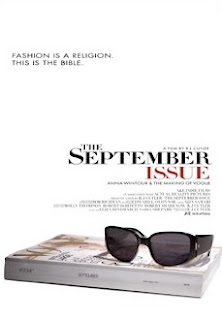 Although I'm not into fashion, I was pretty intrigued when I saw the preview for The September Issue. It's about Vogue editor-in-chief Anna Wintour and the power she wields in the fashion industry. September issues are usually dedicated to upcoming spring collections, Fashion Week in NYC and whatnot. Meanwhile, the only thing I think of when I hear Fashion Week is "Dammit, that means Bryant Park is going to be a zoo for a while." Anywho, all I've heard about Anna are mutterings (and movies) about how no-nonsense she is so it'd be interesting to finally get a look at what goes on behind-the-scenes at the biggest fashion mag there is. 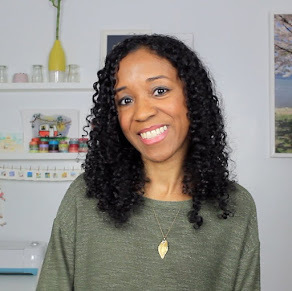 hi thank you for posting a comment on my blog! Ooo, I gotta see it! Last year I went to NYC the week after Fashion Week and I was in the hotel where Rachel Zoe and a bunch of fancy schmancy people had stayed. I wish I had been there one week earlier. Dang it. I have never spotted a celebrity in person. The trailer is intriguing. She's intriguing. When does this come out, then? September?